I sat down to watch Panorama yesterday and the trailers and name of the programme were something of a giveaway so I wasn’t exactly unprepared for what was shown. .. is a purpose designed acute service, offering assessment and intervention and support for people with learning disabilities, complex needs and challenging behaviour. It can also provide a service for those liable to be detained under the Mental Health Act 1983. It offers a stable, structured and therapeutic environment and the support of caring and dedicated staff. Winterbourne View, which has 24 bedrooms, offers the chance for people to progress to more community-based living as part of their ongoing rehabilitation, at their own pace. Winterbourne View charges an average of £3,500 per week for a place. I wonder how much is spent on staff costs and training. Acting on the information from a former senior nurse there who had been whistleblowing, Panorama sent in an undercover support worker (journalist) and some hidden cameras. I knew I was prepared. I knew we were going to see abuse but nothing prepared me for the actual footage that I saw. I try not to engage in hyperbole but what we saw was purely and simply torture of adults who have needs which make them more vulnerable. Physical restraint was used as a punishment and some members of staff were deliberating provoking residents almost as if it were a sport and they were playing at bear baiting. It made for uncomfortable and emotional viewing. I worked for many years in homes for adults with learning disabilities before I qualified as a support worker and the lack of humanity with with the residents in the hospital were treated was almost physically painful to watch. The programme showed a woman being given showers fully clothed and being dowsed with water outdoors on a cold, March day until she was shivering profusely. They showed her being pinned under a chair. In one of the most troubling pieces of footage, a girl is shown as she had tried to jump out of the window and the staff mock her attempted suicide and taunt her to ‘try again’ and ‘make a better job of it’ saying things like ‘do you want me to open the window more’ and mockingly telling her she would make a ‘splat noise’. Even writing it out is difficult. There were other things – comments made, pin downs and the use of martial arts techniques which are, unsurprisingly, wholly inappropriate and this footage was shown to a specialist psychologist with the Tizard Centre who would respond with the same gut horror that you didn’t need to be a psychologist to understand. I was watching on the sidelines, resisting putting a stop to this (abuse) and blowing my cover. Simone was staring at me as she lay on the floor, staring at the only person not abusing her. Some of the more difficult responses came later in the programme as the CEO of Castlebeck was interviewed and of course expressed disgust and surprise at the levels of abuse in Winterbourne View. A company statement is published here and alongside all the usual guff is an acknowledgement that the whistleblowing policy was not adhered to when an initial complaint was made by a staff nurse on 11 October 2010. The footage was filmed between February and March 2011. I was more furious by the response of the CQC. The whistleblower also contacted them, you see with the allegations of abuse. He contacted them three times. Winterbourne View had last been inspected ‘two years ago’. Is that the kind of satisfactory inspection regime that we have, Mr Burstow? Oh, wait, it’s ok, because the statement from the CQC says Burstow has authorised a sample of 150 hospitals receive random unannounced inspections. Woah. Only 150? Only a random sample? Why just hospitals for people with learning disabilities? If random unannounced inspections are seen as necessary to prevent institutional abuse on such a wide scale, surely they should be the NORM for everyone who receives a service via a service inspected by the CQC. No, you see, Burstow (and the Labour ministers before him) seem to think that self-regulation is the way to go. The way the man from the CQC squirmed as he insisted that the paperwork had been in order at Winterbourne View tells a tale all of its own. And as for the staff, four have been arrested to be charged under s44 of the Mental Capacity Act which makes it an offence to ill-treat or wilfully neglect a person who lacks capacity. It also begs the question – where were the Deprivation of Liberty Safeguards? Were any of the residents detained under DoLs – or the Mental Health Act for that matter (as the hospital was assigned as such to accept people detained) and if that was the case, shouldn’t there be additional checks. Would independent advocates provide a further check? There are a lot of questions that remain and the main one is the way that institutional abuse can fester in a residential care setting. There are wonderful care homes and hospitals around. I see them and I worked in them and often the ethos trickles down from top to bottom. Staff who see other staff abuse residents can ‘join in’ to be accepted – it is a classic position of bullying and unfortunately sometimes people who enjoy this kind of power play are attracted to work in social care. There needs to be an environment that does not accept this and that stamps down on it immediately and that was the real failing of Castleview. This was not about 4 rogue members of staff. This was about an environment that allowed them to abuse and for that the senior management up to the Chief Executive should be responsible. Where is the support and training for staff who have to work in stressful environments? Where was the supervision that would have stamped out some of the abuse. That doesn’t excuse those who were responsible for mistreatment but it draws interesting parallels with the sacking of Shoesmith. Wouldn’t we be baying for the blood of the CEO of Castleview? Or perhaps because the abuse took place in a private setting there are different lines of responsibility. I think we should look long and hard about how we, as a society, seek to push people on the peripheries of society, because of age, disability or capacity to the margins of society and people to provide care who are not regulated and not supervised. When the regulator fails so substantially as to ignore someone who whistleblows explicitly, do we not see a problem the ‘system’ that is increasingly reliant on proactive ‘complaints’ to trigger assessments? There is much to do and much that needs to be changed. I wouldn’t say I enjoyed the programme, it upset me and it angered me but I think everyone involved in the sector should watch it. It can be viewed here on the BBC iPlayer. The NHS Confederation has expressed concern that cuts to local government could have a knock-on impact on NHS services. Less support from council services will quickly lead to increased pressure on emergency services and hospitals. Hospital beds will be blocked for those who badly need care because the support services that the elderly require after discharge will not available. Of course, this comes as no surprise. This happens today and has been happening for years. It was the impetus behind the Community Care (Delayed Discharge) Act 2003 which allowed hospitals to charge local authorities for patients that they are unable to provide care for when the patients are ‘ready for discharge’. The difference now is that the services to be provided will be in shorter supply, on tighter budgets and the local authorities won’t necessarily be able to pay the charges that are imposed through this Act. This Act is one of the sharpest indicators of a ‘robbing Peter to pay Paul’ approach to health and social care funding when money is taken out of one pot to put into another. Has it speeded up hospital discharges? Yes. Has it speeded up appropriate hospital discharges? Debatable. The raising of eligibility criteria and the increase of costs for services to those who are means testing will challenge local authorities as they seek to provide services on discharge. Indeed, of the £1 billion health service budget that seems to have been redirected to social care, the Chancellor was careful to specify ‘reenablement projects’ which are often exactly the projects that manage speedy hospital discharges, providing a free initial service before the costs kick in. Only one problem here. The money isn’t ringfenced. I don’t like referring to ‘bed blocking’. Each of those patients in those beds needs to be treated with dignity and respect. When I was in hospital (as a patient) myself, I saw a consultant berating the woman in the bed opposite me for still being in hospital when it cost so much and she was clearly ready to go home. Poor woman. So much for dignity. She explained to the person in the neighbouring bed that it would cost her £12 per hour for the support the social worker said she needed and she wasn’t sure her husband would agree. It was a glimpse into the future for me and a chance to look beyond the role I have as I was merely another patient in another bed at that point. This is where we will be going because there will be more people unwilling or unable to pay the means-tested amounts to see them out of hospitals. Hospitals will be under ever-increasing pressure to discharge and the local authorities will be left to pick up the pieces for ever too speedy hospital discharges or to break the news when the ‘re-enablement’ money runs out. Because it will run out. It will run out very quickly. But there’s two sides to this. Yes, the local authority will struggle to provide care to facilitate speedy discharges because they will have fewer resources and fewer members of staff but also, higher eligibility criteria will mean that more people come to social services via hospitals than at earlier stages of their needs when the hospital admission may have been preventable. Spending on social care and widening eligibility does not cost, it saves. It saves pain and hardship. It saves dignity and potentially unnecessary hospital admissions. It saves money. It saves lives. Community Care have a short report about figures were published yesterday by the NHS which indicate that there has been an increase in detentions under the Mental Health Act over the last year. The numbers of people being detained under the Mental Health Act rose by 1,692 in the last financial year according to figures published by the NHS information centre. The 3.5% increase brings the total people detained under the act to just under 50,000 in one year and represents the largest increase in three years. The total numbers admitted to hospital also increased to 30,774 in 2009-10, a 7.3% increase from 2008-9. The rise was attributed to an increase in admissions to NHS hospitals, while previous increases have been driven by private sector treatment. I thought it would be an interesting point to consider as, on an incredibly unscientific basis, I can say that I have been personally busier as regards making applications for detentions under the Mental Health Act in the last year than I was in the previous year. It’s ironic considering we’ve had a number of wards closing in our Trust and the number of beds available has decreased. The reason? Again, I repeat this is completely based on my own experience but I’d put it down to the impact of the Mental Capacity Act 2005 and particularly the provision of the Deprivation of Liberty Safeguards. This has led to a massive increase in the amounts of assessments I’ve been asked to complete for people who might previously have been informal patients in psychiatric wards who lack capacity to consent to admission or treatment. Of course, this group of people should probably have been brought under the auspices of the Mental Health Act previously, on the basis of meeting the criteria for detention and despite all the perceptions and stigma associated with ‘being sectioned’, personally, I think the legal processes allow for much better protection of the individual than ‘being an informal patient’. There are various issues about how ‘voluntary’ an admission can be if someone has the threat of a potential compulsory detention hanging over their head but if there is a question of them being stopped from leaving, it has to be a strong consideration. There is a greater awareness of issues of capacity now and that one doesn’t have to be rattling the door down and repeating ‘I want to go home’ every five minutes to be objecting to ones detention on a psychiatric ward. There is also the sticky s117 issue which had allowed some consultants and Trusts to ‘dodge the bullet’ on making recommendations for compulsory detentions when really they might have. s117 of the Mental Health Act ensures that the NHS remains responsible for any aftercare services provided. That may include residential and/or nursing care costs which can rack up to thousands of pounds fairly quickly. Guidance has changed over the past few years (due to case law clarifications) and we are told that we cannot now discharge the s117 responsibility if someone has dementia as it is not likely to improve and therefore the aftercare is provided free for life. Now, I’m not saying that these potential high costs might have prevented some informal patients being admitted formally to wards but it is a massive potential cost. The DoLs (Deprivation of Liberty Safeguards) have led to greater awareness and training on the wards in relation to the interaction of the Mental Health Act and the Mental Capacity Act. I’m not saying that is the sole reason for an increase in compulsory admissions on the wards as I am aware my experience, being particularly in the field of older adults, is an area where this matter is much more relevant to those who might work with adults of working age, but for me, it has been the key factor in the increase in applications for compulsory detentions that I, personally, have made. Probably not the most in-depth review as I haven’t had a lot of time to process the programme shown on BBC 4 on Wednesday called ‘Sectioned’ as a part of the ‘Out of Mind’ season about mental illness. 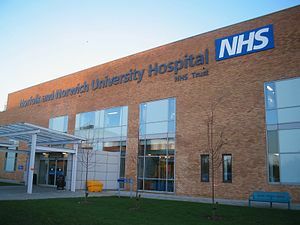 The programme’s aim was to allow a greater insight into some (in this case three) patients who had or were being detained in hospital under a compulsory section of the Mental Health Act (known as being ‘sectioned’). They followed three men – Anthony, Richard and Andrew and looked at the challenges they have and continue to face and the way they have experienced mental health services – particularly and exclusively (because of the nature of the scope of the programme) in-patient services. Between them, they had experienced a number of hospital admissions and the programme certainly picked up on the cyclical nature of some of the experiences of mental illness. There isn’t necessarily a beginning and an end but more different ways of seeing things and different places along the scale of wellness and illness. Rather than recount the experiences that were highlighted in the film, I think at least the film succeeded in presenting the stories of three individuals rather than three ‘patients’. We had an understanding of who the subjects were and the effect that their illnesses had on them and their closest family. The story was one of experiences rather than processes quite rightly and I think there is scope for programmes such as these to increase appreciation and understanding of the reality of mental health inpatient wards. There was no indication that any kind of support or process existed outside the wards but I suppose that wasn’t the point of the programme. There was a helplessness though that I was almost left with when I wanted to justify a little more hope than was presented but perhaps that wasn’t within the bounds of the programme makers remit. One of the most striking things was the declaration that hospitalisation is and was crueller than imprisonment. There is no sentence though, just a revolving door and no crime that has been committed to lead to the sentence and the natural cycle of right and wrong. It was a decent and sympathetic programme covering an aspect of mental health services that is often ignored. I wonder if Janet Street-Porter would benefit from a little time watching programmes such as these and coming to visit a psychiatric ward.. But then, as I explained to my tearful foster child last night, so long away from her family with no idea when or if she might be going home at all, life isn’t about being fair. Today, Community Care reports that the Alzheimer’s Society has called for patients with dementia to be discharged earlier from hospitals as this would save a significant amount of money. They conducted a survey of 1300 carers of people with dementia, about 650 nurses and 500 nurse/ward managers to find that 86% of managers said people with dementia spent longer in hospital that others admitted with the same medical conditions and 49% of carers said hospital stays had been longer than they had expected. There are other figures there but to me there is an obvious reason for these figures. Firstly, most ward managers always think people are in hospital longer than necessary. I am working with a man who is currently in the local acute hospital’s general medical ward. He fell and broke his hip. He has been ‘ready for discharge’ four times – on each occasion as I have arranged his discharge – I have been told that he has deteriorated further and is unwell. But on each of those ‘almost’ occasions, I have received all the delayed discharge paperwork and have created no small amount of work to try and set things up for him. Currently there is a wish to rush people out of hospital. Where I work, there are very few dementia residential placements in local homes. We meanwhile have no provision for block purchased intermediate care placements – no wonder then that there are some delayed discharges but I wouldn’t expect ward managers to say anything other than that because often they are at the sharp end and cannot understand the implications of poor commissioning decisions. I would also imagine that with some people with dementia there might be issues of capacity to explore more fully before a discharge can be planned and possibly more risk assessment in place to ensure safe discharges home. I’m not saying it is right that people with dementia have longer in-patient stays but I’m also not sure that the Alzheimer’s Society calling for £80 million to be saved by discharging people with dementias a week early is anything other that attention-grabbing without a further look at the reasons. I would say if there were any call for the funding that could be saved by acute hospital stays when they are not necessary, it would, in our local area anyway, be better served in more longer term planning about the need for beds specifically for those with dementia and also perhaps a more substantial mental health liaison team that works specifically with older people with dementia as seemingly the funding for the liaison work doesn’t stretch very far into the ‘older’ age group. The report also identified problems with staff training with 54% of nurses saying they had not received any pre-registration training in the illness. Of particular concern to carers was a lack of help with eating and drinking which was often linked to deterioration in patients’ physical health. We had a brief discussion in our team not long ago about care of dementia patients in general hospital wards. It is understandable that time and capacity is an issue that there is not more time but perhaps having more specifically trained additional members of staff to provide care as opposed to nursing would be a way to improve the conditions for those in hospital. The ideal is a safe and satisfactory discharge of course but often there are many contributing factors that lead to a more thorough plan being made for discharge than some patients who are able to make those decisions themselves entirely. The lack of placements and decent intermediate care will also always be a factor in delaying discharges from hospital wards.